Over time, sediment can collect in your hot water heater and result in a cloudy look to your home’s water supply. Rust, which gives your water an orange tint and makes your water heater less durable, can also develop. Prevent sediment and rust from ruining your home’s water quality by draining your hot water heater once annually. Read the manufacturer’s instructions to learn how to drain your water heater or call a professional water heater repair service to assist you. One of the most common signs that your hot water system isn’t working as well as it should is a light sulfuric smell to your water. This can indicate that the anode rod – a magnesium rod used in your tank heater – is worn down and needs replacing. Smelly hot water is often accompanied by a decline in water pressure or hot water that simply isn’t consistent. If your water starts to smell, even if it’s just slight, you should call a plumber and have it checked for any damaged parts. All tank heaters have a temperature and pressure relief valve – a valve that protects your water heater from potential damage that can be caused by excess heat or water pressure. Monitoring your temperature and pressure relief valve is important, as excess water pressure or heat could lead to your tank rupturing and flooding your home. Be sure to check you temperature and pressure relief valve every year for safety. Insulating your tank heater is an excellent way to lower your energy consumption and spend less on hot water. In fact, it’s so effective that it’s recommended by the US Government as one of the best ways to reduce standby heat losses by up to 45%. It’s quick and simple to insulate your water heater, and you’ll need little more than a spare two hours and an insulating blanket. In addition to saving money, you may be able to reduce wear on your tank heater by running it at a lower heat setting. 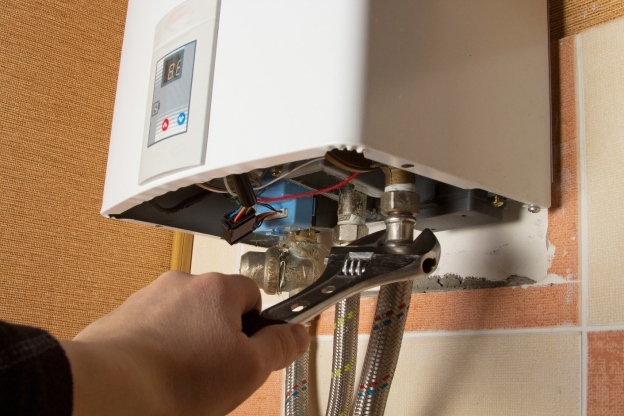 Your water heater, like any other piece of machinery, will perform its best when it’s maintained and cared for. If you don’t have the time or expertise to take care of your water heater, call your local plumber and have them maintain it for you. The small cost of an annual maintenance call will pay for itself in the form of lower bills, a more efficient water heating system, cleaner water and reduced risks of the tank heater failing and requiring replacement.